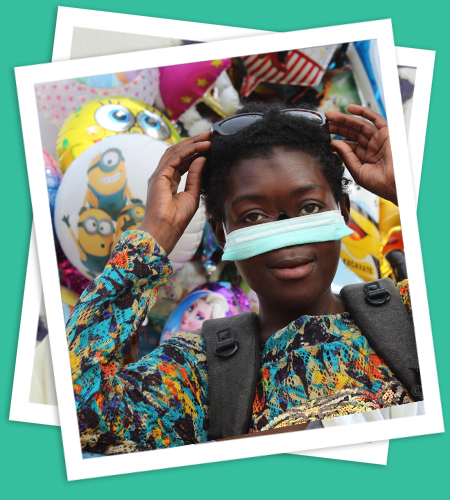 A new nose | help for congo kids e.V. In March 2017, we met this young girl begging and ill with Noma. She was physically weak, had respiratory problems and suffered from social isolation. 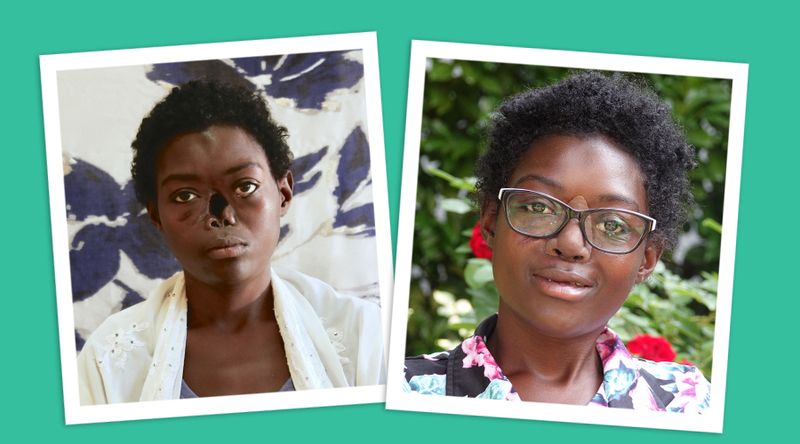 As a child, she had been infected with Noma and the disease has destroyed parts of her face. With the support of “Help for Congo Kids e. V.”, she could be medically treated in Germany. Since an operation was not possible at that moment, she got an epitasis for now. With the new artificial nose, she is very happy to have a complete face again. In 2018, we would like to invite her again to Germany to enable a full reconstruction of her nose.